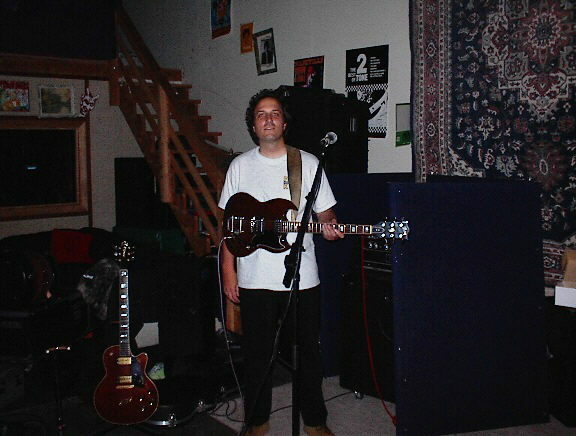 That's me during the recording of the stellar debut demo from The Rev at the Groove Room in San Rafael. Click here to continue the tour. This is a cool collectable Gibson Les Paul Spiderman edition. Click the guitar to continue on the tour. Several links will allow you to escape this place if you prefer.